GloboTech Communications (“GloboTech”) agrees to furnish services (“Services”) to its customer(s) (“Customer” or “Customers”), subject to the following Terms of Service (“TOS”). The TOS herein shall govern any agreement or contract between GloboTech and its customer(s) (the “Customer”) (together referred to as “the Parties”) and shall constitute their agreement (the “Agreement”) together with any separate service contract. The Customer agrees and undertakes to hold GloboTech harmless for any actions taken by GloboTech pursuant to any provisions of the following TOS, even if such actions cause pecuniary losses and damages to the Customer. Under the TOS, GloboTech and the Customer agree that GloboTech will provide services (“Services”) to the Customer and that in consideration of such services, the Customer agrees and consents to be subject to and to act in accordance with the TOS. The simple use of GloboTech’s Services by the Customer, without need for further agreement between the Parties, constitutes acceptance and agreement to comply with all applicable laws, TOS and Acceptable Use Policy (“AUP”). The AUP may be changed from time to time, and without notice, at the sole discretion of GloboTech. The Customer understands and agrees that the present Agreement between the Parties shall not be terminated and that payment from the Customer to GloboTech for the Services shall not be stopped on the basis that the TOS or AUP are modified or changed in anyway by GloboTech. This Agreement shall be governed and construed in all respects in accordance with the laws of the province of Quebec. The nature of the Service as well as the initial charges and Service fees are detailed at the time of subscription by the Customer on the billing portal of GloboTech’s website. The Service fees detailed on the billing portal are subject to change depending on different factors such as the operations charges. GloboTech reserves the right to change the Service fees upon a thirty (30) day notice to the Customer. Provisioning Although GloboTech will make every reasonable effort to ensure that Service provisioning is done in the shortest possible time frame after the initial order request is made, the Customer understands and agrees that such time frame may be affected by any changes and settings requested by the Customer. Such time frame may also be delayed by any Security Check that GloboTech may, in its sole and absolute discretion, request the Customer to undergo. Security Check Prior to providing Service to the Customer, GloboTech may request the Customer to undergo a Security Check. For the purpose of such Security Check, GloboTech may request any relevant documents from the Customer and request a conference call with the Customer. Should the Customer refuse to undergo the Security Check or should the results of such Security Check be unsatisfactory to GloboTech, for any reason whatsoever in GloboTech’s sole and absolute discretion, GloboTech reserves the right to terminate Service and to resiliate any agreement with such Customer. GloboTech further reserves the right to do a new Security Check of the Customer for any change of credit card or paypal account used to pay for GloboTech’s services. Extent of Obligation Any and all obligations or duties that GloboTech may have towards the Customer is limited to an obligation of means and duty of reasonable care and shall under no circumstances be considered an obligation of result or an obligation of warranty. Modification of Services GloboTech reserves the right to modify, discontinue, add, remove, re-price features or options from its Service. GloboTech undertakes to notify the Customer of such changes in a timely manner through its Billing Portal or by email. Resiliation of the Agreement If the Customer is in breach of any of the terms herein or of the terms of the AUP, GloboTech reserves the right to resiliate the Agreement and terminate the Service at any time. Upon such resiliation or termination, the Customer will not receive any refund or credit for the Service that was paid for in advance. The Customer hereby agrees that GloboTech will not be liable for any such refund or credit. The Customer shall not transfer or assign any of its rights under the Agreement without the prior written consent from GloboTech. GloboTech may assign its rights in this Agreement at anytime without consent from or notice to the Customer. GloboTech reserves the right to unilaterally resiliate, in its sole and absolute discretion, the Customers' rights under this contract at anytime without further obligation and without prior notice. Age Customer must be at least eighteen (18) years old to enter into a Service agreement with GloboTech. Customer Information The Customer agrees and undertakes to provide GloboTech with accurate and up-to-date contact information such as Customer’s name, mailing address, email address, phone number where Customer can be reached during normal business hours, and any other relevant contact information. Customer also undertakes to notify GloboTech of any changes to this contact information, in a timely manner and to keep his or her contact information current and up-to date on the billing portal. If the information provided by Customer is misleading, inaccurate or false, GloboTech reserves the right to terminate Service to the Customer and to resiliate any agreement between GloboTech and the Customer. Courteous Conduct The Customer and its employees undertake to be courteous in their communications and in their interactions with all of GloboTech’s employees. GloboTech has a zero tolerance policy for disrespectful or abusive conduct. Such conduct will result in the end of the communication with the GloboTech employee and potentially the immediate suspension of Service and termination of the Customer’s account. Use of Service The Customer is responsible and liable for the use of GloboTech’s Service. The Customer is not only liable for its own use of the Service but also vicariously liable for the use by any person or entity that accesses the Service or Network through the Customer’s account. License to Host The Customer hereby gives and grants to GloboTech the non-exclusive, royalty-free and worldwide right and license to host the Customer’s website and products for the whole term of the Agreement. Notwithstanding the preceding, GloboTech is under no duty to supervise or monitor the use of the license and shall assume no liability with regards to the license. Security The Customer agrees and undertakes to make every reasonable effort to ensure the security of its services to its own customers in order to prevent unwanted access to the GloboTech Network. Should the Customer be aware of any security issue, it is the Customer’s obligation and responsibility to immediately notify GloboTech. Storage and customer data The customer is solely responsible for his data hosted on GloboTech servers and bears the entire risk of loss even if the customer is currently using a Managed backup with GloboTech. GloboTech shall not bear any liability for the content of any Customer’s data or use of the Network. Service Level Agreement (SLA) The customer is protected by GloboTech SLA and can refer to the document entitled “Service Level Agreement” available on GloboTech’s website. Initial and Monthly Fees GloboTech will start providing the Services to the Customer upon receipt by GloboTech of the payment of the initial charges agreed to by the Parties. Following the initial charges, the Services are paid prospectively each month, unless the Customer agreed to making prepayments. Payments for Services are due and payable on a monthly basis on the anniversary date of the commencement of Service. All accounts and services provided by GloboTech are subject to the applicable taxes in the jurisdiction where the service is provided, such taxes being payable in addition to any fee charged by GloboTech. 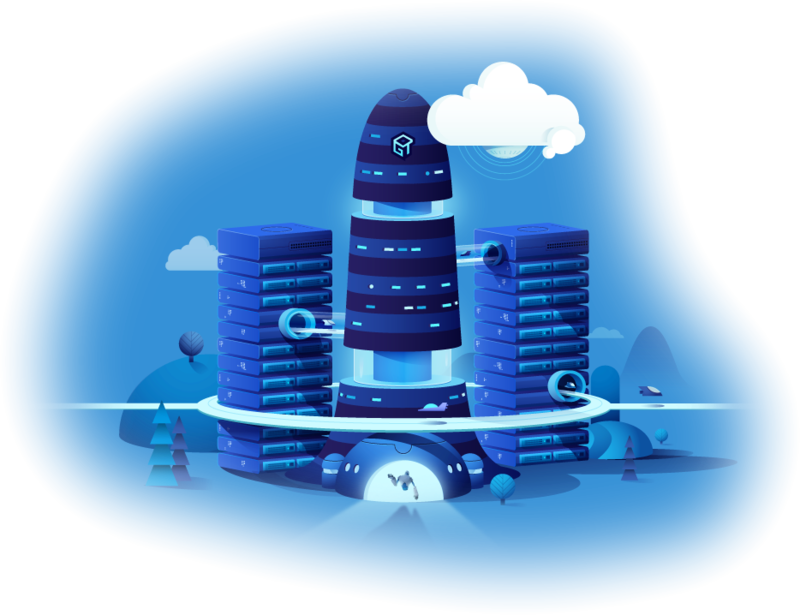 Additional Fees The use by the Customer of GloboTech’s bandwidth, Backup Storage (whether managed or unmanaged) and Virtual Resources such as Cloud Servers, in excess of what their Contract provides, will result in additional fees. Such fees, when incurred during an on-going month of Service will be due and payable on the following billing cycle. The same timeline for payment is applicable for any hourly rate, one time fee, late fees and administrative fees that may be due to GloboTech by the Customer. All overuse fees are available at here. a) By Credit Card: Upon the opening the Customer’s account, a credit card can be added on file. If the Customer so wishes, payments can be made automatically on the credit card every month. Payment by credit card is always made three (3) days before the due date. If the payment is declined for any reason, GloboTech will notify the Customer by email. In such case, the Customer shall provide a new method of payment to GloboTech no later than the due date. b) Paypal and Wire Transfers are accepted methods of payments as well. Payment through either of these means shall be made before or on the due date. Credit The Customer may only be eligible for a credit upon GloboTech’s failure to comply with the Server-Level Agreement (“SLA”) regarding the network uptime or the hardware replacement. This credit must be requested within thirty (30) days of GloboTech’s non-compliance with the SLA can only be applied to future services and is not redeemable in cash. The credit must be used within twelve (12) months, after which time the credit will be expired. Fee for Declined Transactions The Customer agrees and undertakes to pay to GloboTech a $1,00 declination fee for each credit card transaction declined for any reason whatsoever. Cancellation In order for the Customer to resiliate the Agreement, notice must be given to GloboTech’s billing department in writing no less than fifteen (15) days and no more than sixty (60) days before the monthly anniversary of the Agreement. GloboTech will not issue any credits for unused services. Collection In the event that GloboTech determines, in its sole discretion, that an account is uncollectable, GloboTech may mandate an outside collection agency to collect such account. Interest Accounts receivables will bear interest from the date payment is late, at a rate of 2% per month for a total compound interest rate of 24% per year. GloboTech may temporarily deny service or terminate this Agreement upon the Customer’s failure to pay any charges when due. Such termination or denial will not relieve the Customer of its responsibility for the payment of all accrued charges, plus interests and any collection costs, which sums will remain payable to GloboTech. Furthermore, all charges for the initial remaining term of the Agreement not yet due and payable shall be accelerated and become due at the time of termination of this Agreement. Non-Refundable Payments Payments to GloboTech are non-refundable. This includes without limitation, the one time setup fee and subsequent charges regardless of usage. Disputes All overcharges or billing disputes must be reported to GloboTech within 30 days of the time the disputed invoice is issued. Disputed Credit Card or Paypal Charge Should any charge disputed to a credit card issuer or to Paypal be, in GloboTech’s sole discretion, a valid charge under the provisions of the TOS and/or AUP, the Customer agrees to pay GloboTech an "Administrative Fee" of no less than $50 and no more than $150. Any Chargebacks done during the dispute or discussions with GloboTech will be considered a Failure to Pay and will be subject to the section entitled “Failure to Pay”. Limitation The present section of the TOS is applicable in addition to any separate agreement describing and setting the terms of the Services in more details. Term The Service is on a month to month basis unless otherwise agreed to by the Parties. The Service will be renewed automatically every month until Customer notifies GloboTech not to renew or to renew on a different basis. Cloud Server, Dedicated Server and Colocation GloboTech undertakes to provide the Customer with Network Access, power and hardware integrity as well as any of the services listed on www.globo.tech. The Customer is however responsible for the configuration, installation and any other operation related to the setup of its server. GloboTech is available to offer support to the Customer for pre-approved softwares at its hourly rate found here. Promotional Offers Any promotional offer that the Customer may benefit from remains contingent upon GloboTech achieving and maintaining its cost of service goals including but not limited to rates charged to company by its suppliers. GloboTech provides 24/7 technical support to its Customers. The Technical support is limited to GloboTech’s specific area of expertise. GloboTech does not provide technical support for the Customer’s customers. GloboTech encourages technical support requests to be sent by e-mail at support@globo.tech. 4) on the seventh day the invoice is overdue and no contact from the client has been received: the billing representative will send a 24 hour suspension notice. Following the seventh day suspension notice, GloboTech reserves the right to interrupt Service to Customer without further notice, until payment is made. GloboTech further reserves the right to suspend or terminate the customer account and recycle the server(s) hosting the Customer’s account which can result in the destruction of some or all of the Customer’s data. Following or together with such recycling of the server(s), GloboTech may collect the due sum through any legal means such as but not limited to, the use of a collection agency. The Customer hereby acknowledges and agrees that any and all costs resulting or inherent to the collection process or legal proceedings (including without limitation attorney fees) will be payable to GloboTech by the Customer in addition to the sum which is the object of the collection. If the account is suspended, administration fees will be charged for the account’s reactivation. Risk of Loss Although GloboTech will take every reasonable mean in order to ensure the safety and the security of its installations and Network, the Customer remains solely responsible for the safety and security of its data and services and bares all the risk of loss of data notwithstanding whether or not the Customer has subscribed to GloboTech’s “Managed Backup Plan.” The Customer hereby agrees to exonerate and hold GloboTech harmless for such loss of data. Under no circumstances does GloboTech offer the Customer any guarantee or warranty. GloboTech hereby specifically notifies the Customer that all its obligations towards the Customer are obligations of means, thereby explicitly denying and disclaiming any obligation of result or obligation of warranty. Force Majeure Without limiting the extent of the limitations of liability already stated herein, GloboTech hereby explicitly makes known to the Customer that GloboTech does not undertake to remedy, indemnify or repair any injury or damage resulting from Force Majeure. The Customer acknowledges that the Service provided is of such a nature that Service can be interrupted for many reasons other than the negligence of GloboTech and that damages resulting from any interruption of service are difficult to ascertain. Therefore, the Customer agrees that GloboTech shall not be liable for any damages arising from such interruptions. The Customer further acknowledges that GloboTech's liability for its own negligence may not in any event exceed an amount equivalent to charges payable by the Customer for services during the period damages occurred. In no event shall GloboTech be liable for any special or consequential damages, loss or injury. GloboTech shall not be liable for and Customer agrees and undertakes to hold GloboTech harmless for any damages the Customer’s business may suffer. GloboTech does not make any implied or explicit warranties for any parts of its services. GloboTech hereby denies and officially disclaims any implied or explicit warranty such as but not limited to: warranty against the loss of data, warranty of merchantability or warranty of specific purpose, etc. This disclaimer includes but is not limited to the loss of data resulting from delays, non-deliveries, wrong delivery, and any and all service interruptions caused by GloboTech. Content of Customer’s Date GloboTech shall under no circumstances be liable for any of its Customer’s content hosted on its servers and Network, such content’s legality and morality being the sole responsibility of the Customer. IP Address Ownership Any grant of an Internet Protocol Address (“IP address”) to the Customer by GloboTech shall be considered as a limited license of use and shall in no way be considered an assignment of right of such IP address. The Customer’s use of the IP address is subject to any condition of use that GloboTech may impose, in its sole discretion, on such IP address. GloboTech shall maintain ownership and control of all Internet Protocol numbers and addresses that may be granted to the Customer by GloboTech. GloboTech reserves the right to change or remove from the Customer any and all such Internet Protocol numbers and addresses, for whatever reason, in its sole and absolute discretion. GloboTech’s allocation of IP addresses is limited by ARIN's policies. GloboTech will periodically monitor and review IP address usage, and any use of the IP address(es) where name-based hosting could be used instead will lead to immediate revocation of the authorization to use said IP address(es). Users are prohibited from breaching or attempting to breach the security of the Network. Breach of any of GloboTech’s systems or the Network security may result in civil legal actions and criminal charges. GloboTech will investigate occurrences, which may involve such breaches and may involve, and cooperate with law enforcement authorities in prosecuting Customers or any other user(s) (“User”) who is/are involved in such breaches. (e) Taking any action in order to obtain services to which such User is not entitled. Notwithstanding any provision of the foregoing, GloboTech is under no duty to monitor any Customer or user's activities to determine if a breach of the AUP or of any of the provisions herein has occurred, nor does GloboTech assume any responsibility through the AUP or any of the provisions herein to monitor or police Internet-related activities. Any User or Customer, which GloboTech determines to have breached any element of the AUP or of the provisions herein, shall receive a notice by e-mail warning them of the breach. Upon said notice, the service may be temporarily suspended, at GloboTech’s sole and absolute discretion, pending a written declaration from the Customer or the User, to refrain from committing any further breach. Service may immediately be suspended, at GloboTech’s discretion, without notice and/or terminated upon the User or Customer committing a second breach. GloboTech has sole and absolute discretion to determine if such a breach occurred. Suspension of Service and Deactivation of Account GloboTech reserves the right to suspend Network access to any Customer if in the judgment of the GloboTech Network administrators, the Customer's server is the source or target of the breach of any of the terms of the AUP or for any other reason which GloboTech may determine. If inappropriate activity is detected, all services of the Customer in question will be deactivated until an investigation is complete. Prior notification to the Customer is not assured. In extreme cases, law enforcement will be contacted and alerted regarding the activity. The customer will not be credited or refunded for the time the Customer's machines were suspended or for any damages suffered by Customer for such suspension. GloboTech wishes to emphasize that in agreeing to the AUP and TOS, the Customer will hold GloboTech harmless for any claim or law-suit brought against GloboTech resulting from any violation of the AUP or TOS by the Customer or the Customer’s client(s), affiliates, successors, mandatary, etc. As such, the Customer agrees and undertakes to indemnify GloboTech in an amount equal to any damages awarded against GloboTech, plus all costs and attorney's fees. Third Parties All Sub-Networks, resellers and servers of GloboTech must adhere to the present TOS and AUP. Failure to follow any term or condition will be grounds for immediate resiliation. The Customer is vicariously liable for the actions of its clients whom are expected to act according to the TOS. GloboTech does not endorse any input posted to the Network by anyone other than GloboTech itself. The views, opinions and comments of any one other than GloboTech should in no way be construed as coming from GloboTech and GloboTech shall be in no way responsible for any such input unless it is posted to the Network by GloboTech itself. GloboTech is not responsible for the content of any other websites linked to the Network; links are provided as Internet navigation tools only. GloboTech disclaims any responsibility for any inappropriate use of its Network by others and shall in no way be held liable for the conduct of any other person. The AUP specifically prohibits the use of our service for illegal activities. Therefore, the Customer agrees and consents that GloboTech may disclose any and all Customer information, including but not limited to, assigned IP numbers, account history, account use, etc. to any Canadian law enforcement agent/agency or police body delivering GloboTech with a court order, search warrant or other legally enforceable document forcing GloboTech to disclose such information without further consent from or notification to the Customer. In addition, following the delivery of such a legally enforceable document from a law enforcement agent/agency, GloboTech shall have the right, in its sole discretion, to terminate all service set forth in this Agreement without prior notice to the Customer. Severability It is hereby explicitly agreed by the Parties that the Agreement and the TOS shall not be declared invalid as a whole as a result of the invalidity of any one or more clauses of the Agreement and TOS. If any term or other provision of this Agreement or of the TOS is determined to be invalid, illegal or incapable of being enforced by any rule or law, or public policy, all other conditions and provisions of this Agreement shall nevertheless remain in full force and shall be construed consistent with the laws of the province of Quebec. Failure to Act GloboTech’s failure to enforce its rights and penalties in the event of a breach or default, for whatever reason, shall not be construed as a waiver of its right to do so at any time. When Using our services (the “Service” or “Services”), our servers or network (“Network”) and any products or content you must comply with all applicable laws, and our policies, rules and limits including this Acceptable Use Policy (“AUP”). This AUP complement and is incorporated to GloboTech’s Terms of Service (“TOS”) which accompanies the AUP. You are responsible for any misuse of the Services, by you or by any other person with access to the Services through your account. Therefore, you must take steps to ensure that others do not gain unauthorized access to the Services through any means. The AUP is designed to protect GloboTech, its employees, customers and other persons from harm or damages caused by the misuse of GloboTech’s network (the “Network”) and its data. The term “misuse” shall include both the deliberate and inadvertent violations of the present AUP. The AUP also aims to give customers and users a clear understanding of what GloboTech expects from them while using the Network and Services. The present AUP as well as the TOS apply to any person or entity accessing the Network, whether or not they are customers of GloboTech (“Customers”). If you do not agree to be bound by the TOS and the AUP, as amended from time to time, you should immediately stop using the Services and notify GloboTech that you are terminating the Services. participate in any illegal activity, or support illegal activities. We reserve the right to cooperate with legal authorities in the investigation of any suspected crime or civil wrongdoing, in the manner set forth in the TOS. restrict, inhibit or interfere with the ability of any person to access, use or enjoy, the Internet or our Network and Services or create an unusually large burden on the Network, including but not limited to, denial of service (“DOS”) attacks against another network host or individual user, posting, transmitting, uploading or otherwise making available information or software containing a virus, lock, key, bomb, worm, Trojan horse or other harmful, limiting, destructive or debilitating feature, distributing mass or unsolicited e-mail or other messages or otherwise impede another person’s use or ability to send or receive e-mails or information. Although this conduct is prohibited, it is the user’s responsibility to ensure that their network is configured in a secure manner. copy, distribute, sub-license or otherwise make available any software or content we provide or make available to you or which you obtain through the Services, except as authorized in writing by GloboTech. As mentioned hereinabove, the Services may not be used to send unsolicited, bulk or commercial message or for any other unsolicited communications. Furthermore, you must not use the Services to send messages that disrupt another Internet user’s equipment, software, hardware or user display and you must not forge, alter or obscure your identity (other than a nickname) while using the Services. GloboTech users may not utilize more then their allocated system resources. You must comply with the then current bandwidth, data storage and other limitations on your applicable Services. You must ensure that your activity does not improperly restrict, inhibit, or degrade any other user or Customer’s use of the Service, nor represent, in GloboTech sole and absolute discretion, an unusually large burden on the Network. You must not use the Services in a way that restricts, inhibits, disrupts or impede GloboTech’s ability to deliver the Services. Your use of the Services may be subject to a usage limit, as set out in your agreement with GloboTech. You may be subject to additional usage charges should you exceed that limit. It is prohibited to excessively consume resources, including CPU time and memory. You may not use resource-intensive programs, which negatively impact other Customers. GloboTech reserves its right to investigate any virtual machine found to be using excessive machine resources. The storage space provided by GloboTech to some Customers as provided by their specific Service agreement shall not be used for storing pirate media in any shape or form. GloboTech reserves the right to do maintenance and manage the Network to optimize its efficiency and remove any security threats or material in violation of the AUP and TOS. Such operations include, without limitation, rejection or removal of SPAM or unsolicited bulk e-mail, filtering, use of anti-virus programs, etc. GloboTech may take any actions it deems advisable, in its sole an absolute discretion, to ensure the integrity of the Network. any transmissions constituting or encouraging conduct that would constitute a criminal offence, give rise to a civil liability or otherwise violate any municipal, provincial federal or international law, order or regulation. GloboTech requests that anyone who believes that there is a violation of this AUP direct the information to the Abuse Department at abuse@globo.tech. • E-mail with full header information providing all of the above, as to system log files. We reserve the right to revise, amend, or modify this AUP, TOS and our any other of our policies and agreements at any time and in any manner. Notice of any revision, amendment, or modification will be posted in accordance with our TOS. Although GloboTech has the right to monitor or investigate any content that is transmitted using its Network and to access or preserve content or information, under no circumstances shall GloboTech be considered to have the obligation to act as such. GloboTech prioritizes the consensual resolution of inappropriate or unacceptable conduct by Customers however, if the Services or the Network are used in a way that GloboTech, in its sole discretion, believes violates this AUP, GloboTech may take any actions it deems advisable and appropriate. These actions include, without limitation, temporary or permanent removal of content, filtering of Internet transmissions and/or termination of all or part of the Services on your account, the whole without prior notice. GloboTech will have no liability for any such responsive actions. The above-mentioned responsive actions are not exclusive remedies and GloboTech reserves the right to take any legal or technical action deemed advisable and appropriate. GloboTech’s failure to enforce the AUP, for whatever reason, shall not be construed as a waiver of its right to do so at any time. This AUP shall be governed and construed under the laws of the province of Quebec. If any term or other provision of this AUP is determined to be invalid, illegal or incapable of being enforced by any rule or law, or public policy, all other conditions and provisions of this AUP shall nevertheless remain in full force and effect and shall be construed consistent with the laws of the province of Quebec. The General Data Protection Regulation (GDPR), enforceable on May 25, 2018, is the latest data protection law in the EU. The legislation aims to strengthen the protection and confidentiality of the personal information of users located in EU Member States. GloboTech Communications fully endorses the EU initiative and comply with its terms. If you need help with the process, you can send a request to support@globo.tech. Please note that we currently do not have the method to extract the contents of your snapshots. • To establish and maintain a commercial relationship with you and to provide you with products and services. Personal contact and credit card information is required to process your purchases. Account information is retained by us to enable our website to identify you, to allow you to set up and access your account and download files which you have purchased. This information is used only for these purposes and is only retained in transaction records required for internal management and auditing purposes, unless you are informed otherwise or you provide your consent. • To understand your needs and preferences. We maintain a record of the products and services you receive from us, and we may ask you for additional information so that we can serve you better. • To provide you with information you have requested, and to keep you informed with respect to ongoing changes to our website. Your e-mail address will be used to send you our newsletters and mailings IF YOU HAVE REQUESTED US TO DO SO. This option is available when you set up your account. You can withdraw your consent for such mailings at any time by contacting us as set out below. • To develop, enhance or provide new products and services. We may from time to time conduct surveys and research, requesting input from our visitors to help us improve our website, products and services in an effort to serve you better. Your participation in such surveys is voluntary, and in some cases you may have the option to participate anonymously. However, your name, address, e-mail and telephone number may be required to take advantage of bonuses or other benefits which are available to survey participants, in which case your contact information will only be used for notification and fulfillment purposes. • To manage and administer our business. The nature of the Internet is such that it passively and automatically collects certain information about a user's traffic patterns, which may be linked to their Internet Protocol (IP) addresses. These are unique Internet "addresses" assigned to all Web users by their Internet Service Providers (ISP). Server logs record statistical information, such as visitors' IP addresses, type of operating systems, time and duration of visit, web pages requested, and identify visitors by categories such as domains and browser types. These statistics are only used on an aggregate basis and will not contain any information that could identify you personally. • To meet legal, regulatory, security and processing requirements (such as in response to a court order), and otherwise as permitted or required by law. Users also should be aware that non-personal information and data may be automatically collected through the standard operation of our Internet servers or through the use of "cookies". Cookies are small text files containing a unique identification number that identifies your browser - but not you - to our servers each time you visit our website. Cookies are not pervasive or invasive programs that enter a user's system and damage files. They simply tell us which pages of our website are visited and by how many visitors. Cookies cannot, by themselves, disclose the individual identity of any site user, and we never combine information gathered by a cookie with personally identifiable information like your name, telephone number or e-mail address, without your consent. GloboTech Communications is not in the business of selling customer information to others. Our customer information is not available for sale to any outside entity. We contract with third parties to fulfill certain functions on our behalf, such as providing marketing assistance, analyzing data, preparing and maintaining site content, processing credit card payments, and providing customer service. These agents have access to customer information only as required in order to help them perform their functions on our behalf, but they are not allowed to use that information for any other purpose and must keep such information confidential. These third party companies or entity are all located within the province of Quebec and are therefore subject to the same legal obligations of confidentiality. We also work closely with our affiliates, and in some cases we offer services or sell documents jointly with these affiliates. When you purchase documents or services that are provided jointly by GloboTech Communications and one of its affiliates, we share our customer information with that affiliate with respect to your purchase. Customer information is a valuable business asset. If for any reason GloboTech Communications transfers or divests itself of its business assets, our customer information will be transferred as one of those business assets. GloboTech Communications will release customer information to the appropriate law enforcement, governmental or other authorities if legally required to do so. GloboTech Communications will also release such information if we feel it is necessary in order to protect our rights or the rights of our customers, affiliates, partners or any other party and for purposes of protection from fraud and credit risk. You should be aware that if you voluntarily disclose personally identifiable information (e.g., user name, e-mail address) on non-secure areas of the GloboTech Communications website, that information can be collected and correlated and used by third parties and may result in unsolicited messages from third parties. Such activities are beyond the control of GloboTech Communications. We store subscriber and password information on our website in a secure manner. We store such information in a manner not accessible to Web browsers, behind firewall and password protection, or offline. This site has security measures in place (including the use of Secure Socket Layers ("SSL") encryption technology) to protect the loss, misuse and alteration of the personal information under our control. All order forms are encrypted and are transmitted via a secure server. Employees, agents and affiliates of GloboTech Communications who require access to your personal information in order to fulfill their job or contractual requirements will have access to your personal information to the extent necessary to fulfill such requirements. If you wish to update, modify or correct your personal information, use the "Go To My Account" option after logging in to access your account information and make changes online. Upon request, GloboTech Communications will allow any user to "opt out" of further promotional contacts at any time. Also, upon a user's request, GloboTech Communications will use commercially reasonable efforts to functionally delete the user and his or her personal information from our database. However, following the deletion, some residual information may remain on backups and records of deletion. In such situation, the residual information will be deleted from such backups and records of deletion within a reasonable amount of time, unless you consent to its subsequent use. You can e-mail us at privacy@globo.tech to request that your account information be deleted from our servers. Consent to the collection, use and disclosure of personal information may be given in various ways. Consent can be express (e.g., orally, electronically or on a form you may sign describing the intended uses and disclosures of personal information) or implied (e.g., when you provide information necessary for a service you have requested, or in some circumstances where notice has been provided to you about our intentions with respect to your personal information and you have not withdrawn your consent for an identified purpose, such as by using an "opt out" option provided). Consent may be given by your authorized representative (such as a legal guardian or a person having a power of attorney). Generally, by providing us with personal information, we will assume that you consent to our collection, use and disclosure of such information for the purposes identified or described in this Policy, if applicable, or as otherwise described at the time of collection. You may withdraw your consent to our collection, use and disclosure of personal information at any time, subject to contractual and legal restrictions and reasonable notice, however, please note that if you withdraw your consent to certain uses of your personal information, we may no longer be able to provide certain of our products or services. If you are not satisfied with our response to your privacy concerns, you may wish to contact the Privacy Commissioner via http://www.privcom.gc.ca/ or by calling 1-800-267-0441. The GloboTech Communications (“GloboTech”) Service Level Agreement (“SLA”) applies to all web hosting services. This SLA serves to mutually establish eligibility for any applicable Performance Credit and is to be understood in context of our Terms of Service, which is available on our website or upon request. The client agrees that GloboTech establishes the internal measures that apply and are subject to eligible performance credit. In the event of a discrepancy in application of the internal measurements, the customer shall promptly notify GloboTech and the customer and GloboTech will agree on the validity of the claim, accuracy of the internal measurement and clients eligibility for performance credits. This SLA may be amended at any time by GloboTech. Copies of the SLA shall be made available on our website and upon request. 1.1. Normal Order - an order for a dedicated server or cloud service that is offered on the website and that has not been customized when ordering and which require no physical change or special configurations. Any configurations from the website that are customized will be considered a custom order. 1.2. Custom Order – an order for a customized service outside the scope of a normal order. Customized service and defining of a customized service is the full discretion of GloboTech. 1.2.2. For Custom Orders, including custom hardware configurations, hardware upgrades, complex configurations and similar, GloboTech will work with the Customer to implement the services based on mutually agreed upon timelines. GloboTech may provide an estimated completion timeframe for installing services under a custom order. Customer hereinafter agrees that the estimated timeframe is an estimate and not a guarantee of timeframe completion. This timeframe is offered as a convenience for the customer and GloboTech is not held accountable for not meeting an estimated deadline in this context. 1.3.1. Network Downtime – Network downtime is a failure of our equipment and a packet loss higher than 90%. The measurements of packet loss are in the sole discretion of GloboTech. 1.3.2. Power Outage - A power outage and outage to the backup system whereby the outage renders the customer offline. 1.3.3. Maintenance - Emergency maintenance and schedule maintenance, which are referred to in our existing Terms of Service. 1.3.4. Standard Hardware Replacement - The replacement of any server hardware component such as, but not limited to, hard drives, memory or processors substantially affecting the performance of the Services, after having been determined by GloboTech in its reasonable discretion to require replacement. Timeframes under this portion of the SLA do not pertain to Custom Orders. 1.3.5. Major Force – Without limiting the extent of the limitations of liability already stated herein, GloboTech hereby explicitly makes known to the Customer that GloboTech does not undertake to remedy, indemnify or repair any injury or damage resulting from Force Majeure. 1.3.6. Verified Outage – This means a claimed outage for a particular Service that has been verified by a GloboTech representative. 1.3.7. Services – This means a service ordered by the customer and provided by GloboTech as outlined by or Terms of Service. 1.3.8. Claimed Outage – This means the period of time (measured in minutes at the discretion of GloboTech) during which the customer claims a loss of service within the specific measurement period. 1.3.9.1. First Response to Support Ticket - A response from GloboTech that acts as an acknowledgment of receipt of the support ticket. This is only valid if the support ticket is sent to the proper department account. If the client opens multiple support tickets for the same incident, the initial ticket response time is taken into account and not the latter. 1.3.9.2. Service Level Agreement Credit (“SLA Credit”) – A credit to the customers account that is received for a breach of SLA. The credit may be utilized for present and future services subject to the Terms of Service Policy and the SLA. 2. General Terms of Service as it pertains to the SLA – To be understood in conjunction with our existing policies. 2.1. For an SLA credit to be granted and applied, the customer must submit a request for credit within 10 days of the incident. GloboTech is not responsible for applying credit without customer notice. 2.2. The request for credit must detail the exact nature of the incident so that GloboTech can rectify the incident accordingly. In the event that the sufficient information is not provided, GloboTech cannot be held responsible for excessive delays in rectifying the incident. Sufficient information is a discretionary in nature and subject to GloboTech interpretation. 2.3. SLA Credit is limited to the monthly value of the service that has incident or if the SLA has been breached. The value of the SLA Credit will be evaluated on a monthly basis. No further costs related to the interruption of services will apply nor will SLA Credits be granted for anything other than the service interrupted. For SLA Credits to be applied, the Customer account must be up to date. Failure to maintain an updated account will render SLA Credits inapplicable. 2.4. In the case of breach of SLA or our Terms of Service Agreement, SLA Credits will not exceed one-hundred percent (100%) of the service in question. 2.5. SLA Credits are only applicable to current or future costs. SLA Credits do not have a cash surrender value. 2.6. Although our services are ongoing, SLA Credits are applicable only for the month in which the incident occurred. To that point, only one SLA Credit is available for each incident. 2.7. The customer has a maximum of one year, from the issuance of the SLA Credit, to apply the credit to their account. 2.8. SLA breaches and credits are applicable only to the affected services. Credit shall not apply to existing or different services associated with the customer account. 2.9.2. Have not paid their fees when due for the services twice (2 times) when due in the previous 12 calendar months. 2.10.1.1. GloboTech is performing system upgrades, enhancements or routine maintenance which is pre-empted by an message or announcement on the customers portal. 2.10.1.9. Issues related to hardware provided by the customer to Globotech. 3.1. 100% Network Uptime – This defines the downtime of the service. It is GloboTechs discretion to define the terms and timing of the downtime. 3.3. 90 Seconds Cloud Server Delivery - The initial delivery of a cloud server (standard delivery) will be 90 seconds for the VM to be active. OS with longer boot time such as Windows Server are excluded. If there is a problem with the delivery of cloud server, the portal will indicate as such with an "Error" message. This will also apply if the affected server is assigned to a specific account. 3.4. Fast Dedicated Server Delivery - The initial delivery of a dedicated (Standard delivery) will be delivered in 4 hours or less. Custom orders do not apply here. The time account from one command must be confirmed by GloboTech and all the security and verification of payment must be compelted in accordance with our Terms of Service Agreement. 3.4.1. Penalty – 10% Credit will be applied in this occurrence on the server value for that initial month. 3.5. Hardware Replacement one (1) hour or less – This is measured from when GloboTech confirms to the customer that they are aware of the problem. This is completed by our troubleshoot team. This requires sufficient cooperation from the customer. If proper cooperation is not provided, at the discretion of GloboTech, the customer will not be entitled to SLA Credits. 3.5.1. Penalty – 10% Credit will be applied in this occurrence for that server total value for that month. 3.6. First Response to Support Tickets Within 15 minutes – Measured by when the system assigns a customer request to an agent. Only support tickets are covered under this SLA. 3.6.1. Penalty – 5% Credit will be applied in this occurrence per support ticket. This will require a proven support request.